The products for SuperfoodsNZ are fully researched and we believe are only the best quality supplements, superfoods and juices, herbs, teas, vanilla , and more. 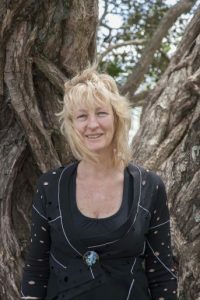 Director -Jackie Stoddard N.D, with over 30 years experience as an naturopath, herbalist, therapeutic massage. I’m happy to be supplying this product for anyone wanting to lose 3 kgs to 100 kgs (yes one customer has lost over 80 Kgs!) People are improving their health and happiness (3 people that SuperfoodsNZ know of, now have normal blood sugar levels & no longer on Type II Diabetes medications!) Hearing all the great feedback and weight loss successes, a bonus! Thank you for this wonderful product Artemisinin – My little man Guss the chocolate lab has been on this for 2 years after a diagnosis of mast cell cancer and he is still with us and even the vets have been surprised as at the start they didnt give us a very good prognosis . Here we are 2 years and he is still with us going strong…. thank you from Guss’s Mum. Have had great success with the HCG! My mother in law and I bought a big bottle and I have lost 15kg so far and she has lost 11kg. Fantastic product! Are going to buy another small bottle to take us to the 40 days as not quite there yet! I have attached a graph of my weight loss as I have been using an I phone program to track my weight loss. Hope this gets me in the prize draw? J Thanks! I have been on the HCG diet for 24 days I was 119.3Kg am now 108.7Kg. That’s 10.6Kg of weight loss I am ecstatic and feel great! As you suggested & the HCG diet manual states, anyone doing this must follow instructions to get these sorts of results. Once you get into a habit or routine its easier & then you don’t even think about it, it just happens. I recommend anyone to use the Green tea HP sachets & other products that Superfoodsnz specialises in. You might think they are expensive at first but compare the cost of one green tea HP sachet to coke, sachets still cheaper per unit & you feel better for it to. Oh and they help you to lose weight also! So just have a talk to Jackie about the benefits of all her products, she is lovely to talk to too and deal with. Well, we did it! B… lost an amazing 11kgs and I lost 7kgms. B has always had trouble getting past 95 and now he sits at 88. I have recommended you to many people and B can’t stop talking about it to folk. Keep up the good work.